It is well documented that prolonged periods of sitting and lack of physical activity can negatively impact one’s health. 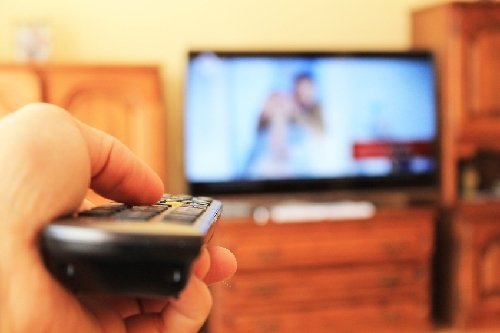 Previous studies have also found a link between excessive TV watching and an increased risk of adverse health conditions, such as heart disease, diabetes, cancer, pneumonia, depression, and Parkinson’s disease. Now, in the first study of its kind, researchers studied the association between prolonged TV watching and the cognitive performance of young adults. The new study published in the journal JAMA Psychiatry found that young adults who watch TV for three hours or more daily, along with low physical activity levels, can have poorer cognitive function by the time they reach midlife. For the study, the researchers charted the exercise regimen and TV-watching schedule of young adults over a 25-year period between 1985 and 2011. The study included young adults between the ages of 18 and 30 who enrolled in the Coronary Artery Risk Development in Young Adults (CARDIA) study. Every two to five years, follow-up examinations were performed. Approximately 5,115 people were recruited for the trial, and 3,499 participants completed the last phase by year 25. The current research includes 3,247 people. The Rey Auditory Verbal Learning Test (RAVLT) assesses verbal memory. The Digit Symbol Substitution Test (DSST) examines executive function and processing speed. Executive function includes the control and regulation of cognitive abilities such as problem solving, planning, reasoning, task flexibility, and memory. The Stroop test was the final test, and it also assesses executive function. The people who spent more time TV watching and less time being physically active had worse Stroop and DSST test scores. The researchers found that young adults who watched three or more hours of TV daily showed poorer performance on several measures of executive function and processing speed 25 years later when compared to people who watched less TV. About 11% of the participants were long-term TV viewers. “This high level (of TV viewing) was associated with poor cognitive performance at year 25 on all cognitive tests,” stated lead study researcher Tina Hoang, of the Northern California Institute for Research and Education. The researchers are straightforward about the drawbacks of the trial, and believe the dropouts over the 25 year period have led to some selection bias. Also, the TV watching and physical activity data had been collected through a questionnaire, which has its limitations due to participant’s personal perception. It was also noted that the cognitive tests didn’t measure every potential realm of cognitive functioning. Other studies have consistently found that physical activity can help maintain or improve cognitive function. For example, a British study from 2003 found that physical exercise at 36-years-old was linked with a slower rate of decline in memory between the ages 43 to 53. Hoang, T.D., et al., “Effect of Early Adult Patterns of Physical Activity and Television Viewing on Midlife Cognitive Function,” JAMA Psychiatry, 2015, doi: 10.1001/jampsychiatry.2015.2468. Harrison, P., “High TV Viewing, Low Activity Linked to Poorer Cognition,” Medscape Multispecialty web site, December 3, 2015; http://www.medscape.com/viewarticle/855426. Newman, T., “Watching TV might slow your brain,” Medical News Today web site, December 2, 2015; http://www.medicalnewstoday.com/articles/303433.php. Richards, M., et al., “Does active leisure protect cognition? Evidence from a national birth cohort,” Social Science & Medicine, 2003; 56(4): 785-792. Keadle, S.K., et al., “Causes of Death Associated With Prolonged TV Viewing,” American Journal of Preventive Medicine, July 24, 2015; http://www.ajpmonline.org/article/S0749-3797%2815%2900265-2/abstract.